I provide a range of professional services to meet your writing, editing and proofreading requirements. I'd be happy to help whether you are: a company looking for assistance with business reports, web content or promotional materials; a student who would like your dissertation to be proofread; an artist struggling to write your album blurb; or an author looking for editorial feedback. I am highly qualified with a Masters in Creative & Professional Writing and have studied a Chapterhouse course in editing and proofreading. I am an experienced freelance writer, editor, proofreader and book reviewer. My employment history is based in professional events coordination, libraries, youth work and council roles, which has given me insight into the writing needs of large and small organisations. Please see my testimonials from previous clients. 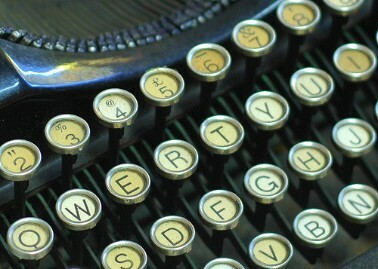 Writing: Copywriting to your specifications. Let me know the style of writing you require, intended audience, number of words and I'll do the rest. I will work closely with you to understand your needs and will revise drafts as required to ensure you get what you're looking for. Editing: Written something but not sure if it's up to scratch? I can offer detailed or summarised editorial feedback on your work. Adjustments can be made directly in word documents or using track changes giving you overall control of alterations. If required, I will also work on hard copies. Proofreading: Happy with your writing but want it checked through? I can offer formal proofreading using standard proofreading marks (for this I will require hard copies of documents), or informal proofreading, making corrections directly in your text or simple marks to highlight errors. Book Reviews: I thoroughly enjoy reviewing new books! If you are an author or publisher and would like me to review a book please contact me. You can find examples of my reviews here. Dyslexia support: I am happy to assist any dyslexic students or professionals with their writing as required. Creative writing workshops: In the future I plan to offer writing workshops for young people, through youth groups and schools. See Projects for further info.